Are you looking for a customized estate home on a quiet cul-de-sac street with incredible lake views? Located on a spacious 1/3 acre corner lot in the highly desirable McGregor Reserve gated community.This immaculate 2-story home features quality craftsmanship with custom built ins in every room on the ground floor. 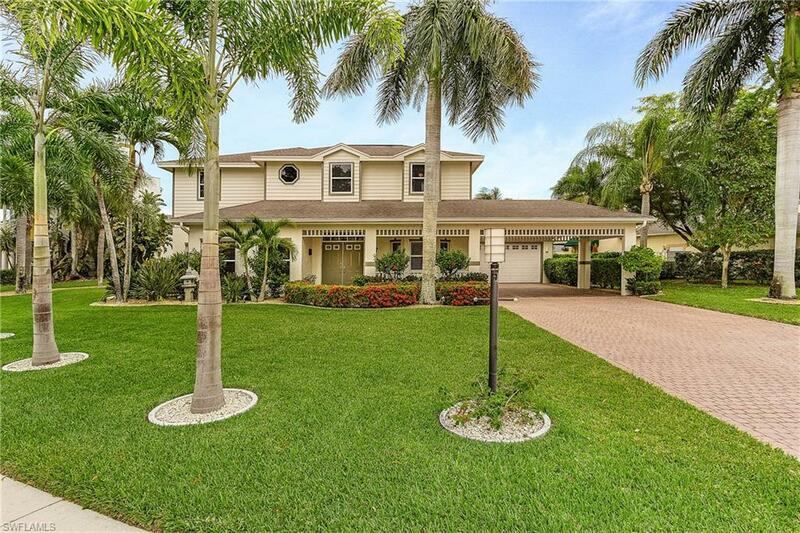 Elegant curb appeal thanks to the generous sized pavered driveway, porte cochere, beautifully tiled front porch and lush landscaping.Enjoy the private oasis of the screened pavered lanai with large saltwater pool and resort-like views of lake. The master bath resembles a spa with pebble shower details, custom vanity with dual sinks.Two walk-in custom master closets.Recently renovated, you will find beautiful upgrades such as Hunter Douglas window treatments, exotic Hawaiian Koa and Brazilian hardwoods, Corian, quartz and granite countertops. The light and bright kitchen is the heart of the home with modern white Shaker cabinets, stainless steel appliances and custom pantry complete with convenient drawers. This established, family friendly neighborhood features mahogany lined streets, sidewalks, community pool, clubhouse and dog run. Copyright 2019 Multiple Listing Service of Greater Fort Myers and the Beach, Inc.; All rights reserved. The data relating to real estate for sale on this web site is the copyrighted and proprietary database of the Multiple Listing Service of Greater Fort Myers and the Beach, Inc. The properties displayed may not be all of the properties in the MLS\' database, or all of the properties listed with Brokers participating in the cooperative data exchange program. Properties listed by Brokers other than Pelican's Nest Realty Services, Inc. are marked with BR logo and include the name of the listing Brokers. Information provided is thought to be reliable but is not guaranteed to be accurate; buyers are advised to verify facts before making the decision to purchase a property. No warranties, expressed or implied, are provided for the data herein, or for their use or interpretation by the user. Information provided is for consumer\'s personal, non-commercial use and may not be used for any purpose other than to identify prospective properties consumers may be interested in purchasing. This site will be monitored for \'scraping\' and any use of search facilities of data on the site other than by a consumer looking to purchase real estate, is prohibited. Listing broker has attempted to offer accurate data, but buyers are advised to confirm all items. Information last updated on 2019-04-21.